Prayer Request: On Monday 9th February Joseph will have a lumbar puncture to allow a protective chemo treatment of his central nervous system. Joseph has to fast for most of the day and then have the procedure. This has been done many times and each time Joseph has done really well. But we are convinced that he does so well because so many of you pray for him on these days. 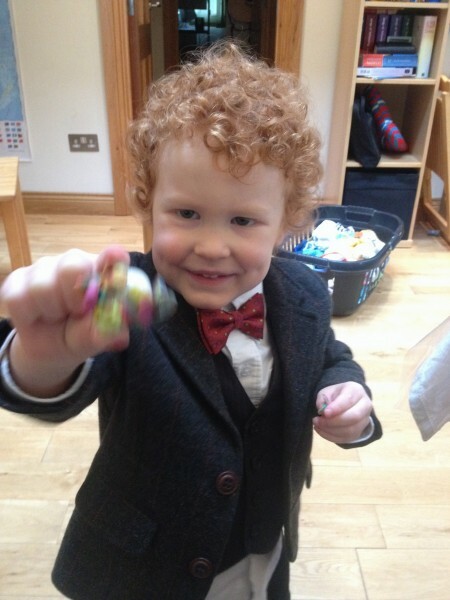 On 1st January Joseph turned 3! 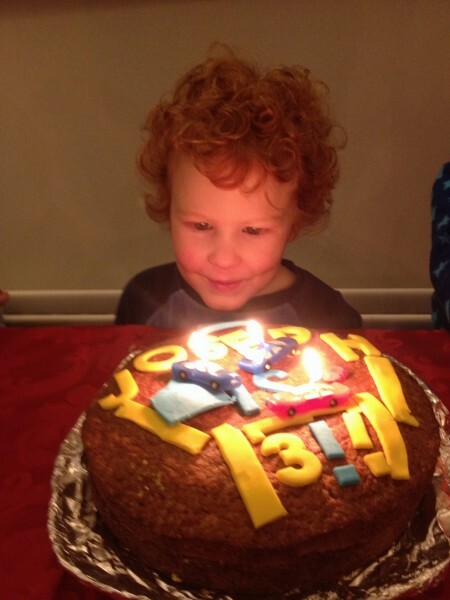 Here is a photo of him with the birthday cake he and his brothers made (or at least decorated). It was a wonderful time to rejoice in Joseph growing and to thank God for His great kindness to our family. It was on 1st January that I proposed marriage to Kate. Then 6 years later she gave birth to Joseph on that same day. At his birth Joseph was born with a double knot in his cord, something that is seen about once in ten thousand births. Now we are celebrating Joseph having come through the deep waters of the initial infection and the intense chemo of his early treatment. So the first of January is a day packed with so much to be thankful for as a family. Just a few days ago we had a bit of snow at the house and Joseph was able to enjoy it with his brothers. 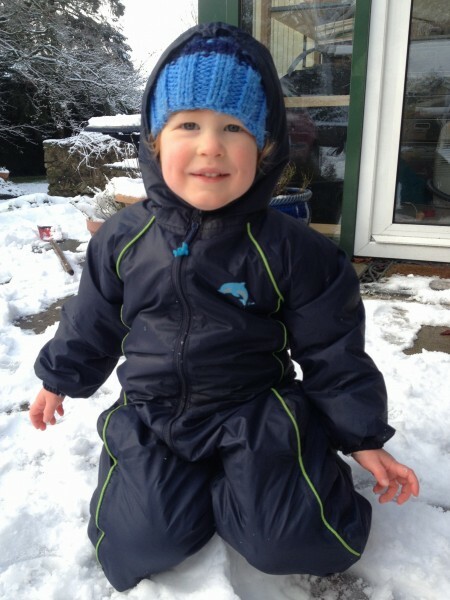 He helped to build a snowman and had a wonderful time clearing the snow from the steps. The blurry object in Joseph’s hand is a planet, just in case you could not tell. On this day Joseph and his brothers were learning about the solar system. So they each created scale sized planets from modeling clay and built the solar system on our dinning table. As we start a new year and see Joseph doing so well, it is amazingly easy to forget just how much the Lord has done for Joseph and for us as a family. We get busy and though Joseph gets oral chemo each night he has been spared from most serious side effects. Yet it is in the day of peace that we really should take the time to remember that we are here and Joseph is here because God heard the cry of His people and did mighty things for us. God knows we easily forget the goodness He pours on us so He tells us to intentionally remember His goodness and tell of the great deeds of the Lord to our children. We are to do this so that we can live each day rooted in the knowledge that no matter what comes in this broken world our lives are not the sum of a bunch of random events but overseen by a God who loves us. Praise the Lord! What a great update and I love the photos! God has even allowed his red curls come back. Thank you for reminding us to pray. Sending y’all hugs and high fives!